Introducing the top of the line Bromic heating range that has revolutionised the heating industry as we know it. Bromic is an acclaimed award-winning company. Newly established within heating, they have fast-tracked their own growth and development to achieve success throughout the residential and commercial sectors specialised in the heating industry. A key market leader recognised for their reliable and safe heating solutions. Bromic has heavily focused on investing into their own research and development to sustain the highest quality of heaters across Australia and Internationally. The Platinum Smart-Heat ™ Electric II provides a point of difference in the industry at the forefront of innovation. Delightful in appearance, appropriate for a multitude of upmarket environments reflecting the quality of workmanship showcased throughout their entire brand. The Platinum Smart-Heat ™ Electric II range by Bromic has excelled, surpassing the competition for their outstanding quality and resilient performance, opting to use radiant heat a widely known and recognised method of heating throughout this range. The concept of radiant heat established by infrared rays heating people and their surrounding objects – positively providing directional heat coverage of up to 6m2 ensuring continual warmth and efficiently operates in silence, for a desirable environment filled with peace and quiet. A Heater for wall, ceiling or flush mounting. This Bromic range is manufactured with everlasting 304 stainless steel components and a glass ceramic screen to ensure reliability. This designer heating solution is wafer thin (16.2cm) in width constructed to fit within the most confined areas. 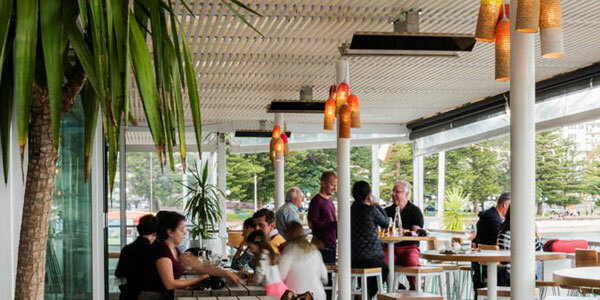 Typically, the Platinum Smart-Heat ™ Electric II range is appropriate for commercial hospitality, patios and outdoor entertainment environments. The Bromic Platinum Smart-Heat ™ Electric II range is simplistic in use with smart-control technology to have one or multiple heaters work together by a single switch activation, effectively operating systematically. The installation of these domestic and commercial heaters are packed together with a mounting bracket to sit along the wall or attached to the ceiling. 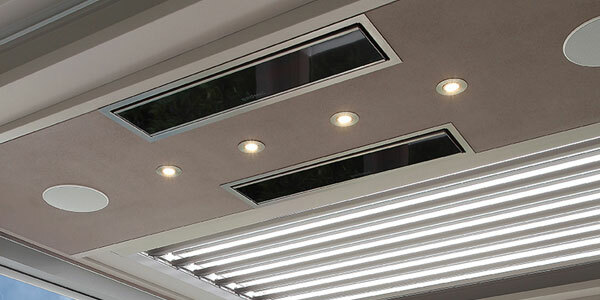 Furthermore, as an alternative mounting method, the heater comes with a recess kit placing the heater within the ceiling cavity to give the environment a unique modern look. There are a diverse range of ambiences for the Bromic Platinum Smart-Heat ™ Electric II heaters to operate in. Appropriate for both indoors and outdoors, attaining an IPX5 water rating protected against low-pressure water levels. Capable of emitting a safe and a clean form of energy, useful for people who suffer from allergies. Click here to find out and learn more about the Bromic Platinum Smart-Heat ™ Electric II heaters. A highly respected and recognised Australian award winning company specialising in heating. The Bromic Group has over 30 years of a background in technical experience with appliance-related products. Stylish, slimline (wafer thin) and an upmarket designed heating solutions. IPX5 (ingress protection rating) rated – protected indoors and outdoors against minimal contact with water. Radiant heat – thermal energy, positively distributes all 2300w of heat output evenly. Designed and constructed with a signature ceramic screen and 304 stainless steel components. ← Nobo Oslo Panel Heater Has Arrived!